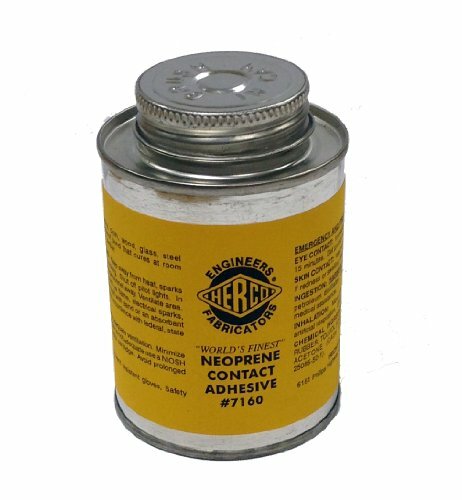 Herco "Worlds Finest" #7160 Neoprene Rubber Contact Adhesive is recommended for all porous and extra-porous surfaces such as closed-cell neoprene sponge rubber, cork and rubber compounds and other pliable low-density materials. Resistant to water, oils and grease. Remains flexible over a wide temperature range. View More In Solvent-based Adhesives.